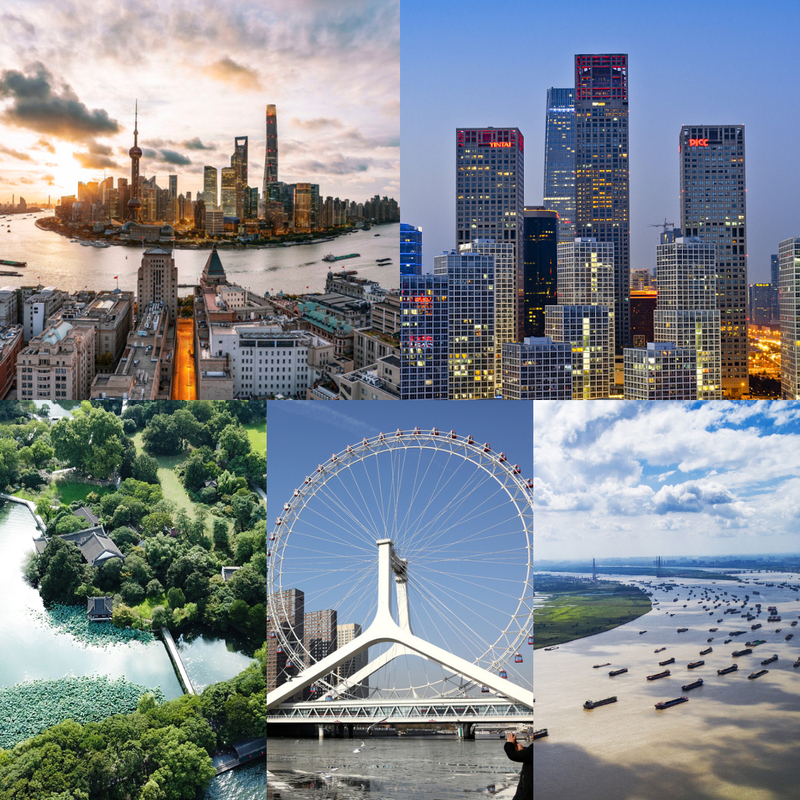 Shanghai topped the list for total GDP among Chinese cities at 3.27 trillion yuan ($486 billion) in 2018, followed by Beijing, which for the first time saw its GDP surpass 3 trillion yuan to 3.03 trillion yuan. Both of these cities registered 6.6 percent year-on-year growth based on comparable prices, according to official data. Shenzhen, third on the list, saw its GDP hit 2.4 trillion yuan, an increase of about 7.5 percent compared with a year earlier. This made it among the top five Asian cities in economic aggregate, Shenzhen's mayor said. Chengdu and Wuhan were in close competition with GDP of 1.53 trillion yuan and 1.48 trillion yuan respectively. They also took the lead for growth rates, with both experiencing 8 percent year-on-year growth. Here are China's top 10 cities for total GDP in 2018.